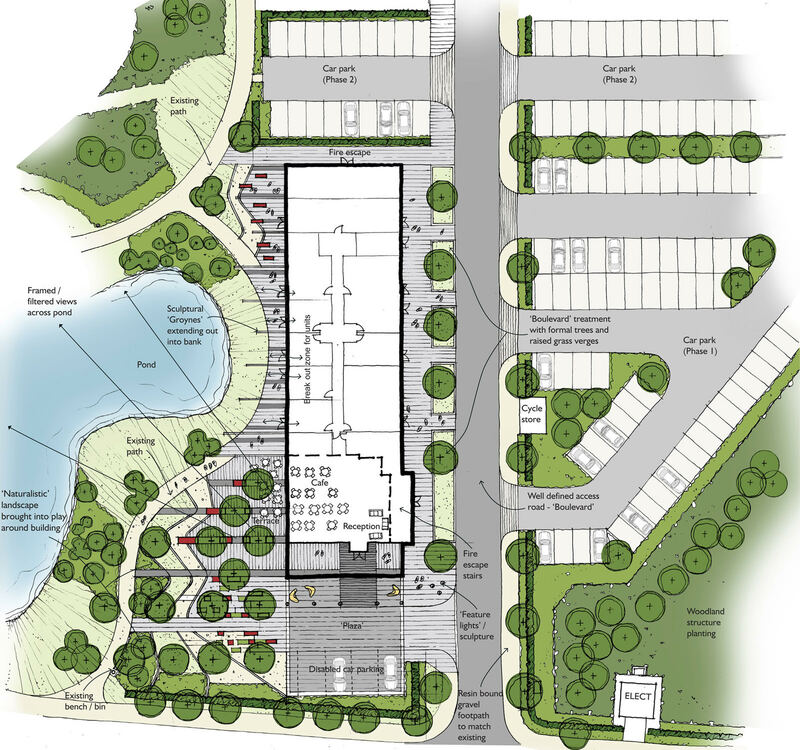 The Epicentre is the first building proposed to be built on the Haverhill Research Park, a 30-acre research and development park located 17 miles to the south-east of Cambridge. Located adjacent to the central lake, the 30,000 sqft scheme will house a series of office and meeting spaces as well as a double-height café / reception area designed to spill out onto an external terrace. Indigo are responsible for the design and coordination of whole external environment, including semi-mature tree planting, sculptural street furniture, and waterside detailing.